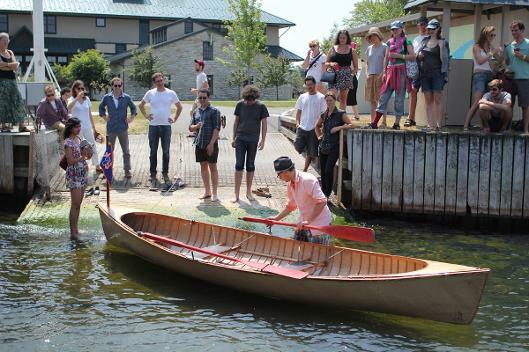 SeaChange will culminate their three-week journey by docking their paper boats aboard the Floating Library followed by two-days of office hours aboard (Sept. 17 & 18), and ending on the 19th with a ceremonial evening filled with rituals, performances and a trip report! SeaChange: We All Live Downsteam will be a three-week voyage in early September down the Hudson River in small boats made of paper – initiated by Brooklyn-based boatbuilding collective Mare Liberum and global climate change activists 350.org. The voyage will begin in Troy, NY and end in Manhattan approximately three weeks later. Along the way we will be convening community assemblies and artistic collaborations to share stories of resistance and resilience – strengthening local networks and collectively planning future collaborations. We will visit sites of existing and planned destructive infrastructure as well as sustainability projects. We will end with a circumnavigation of Manhattan and a press conference on the opening day of the first UN Climate Summit being held as part of the 69th Annual UN General Assembly in New York City. This project is intended to explore story-based forms of community activism, drawing a narrative through-line on the map between disparate actors in the ongoing resistance to extreme energy, while creating a deeply transformative experience for all involved. The waters of this world cannot be contained – We All Live Downstream.